CENTERVILLE – Jessie Duke Radford, 95, of the Centerville Community, died Wednesday morning at her home. Mrs. Radford was a daughter of the late Roy and Pauline Pleasants Duke. She was preceded in death by her husband, Ed Radford; sister, Dot Gupton and brother, Wilton Duke. A funeral service will be 2 p.m. Friday at Centerville Baptist Church with Reverend Doug Moore officiating, visitation will be 1 hour prior to the service and other times at the home. Burial will follow in the church cemetery. 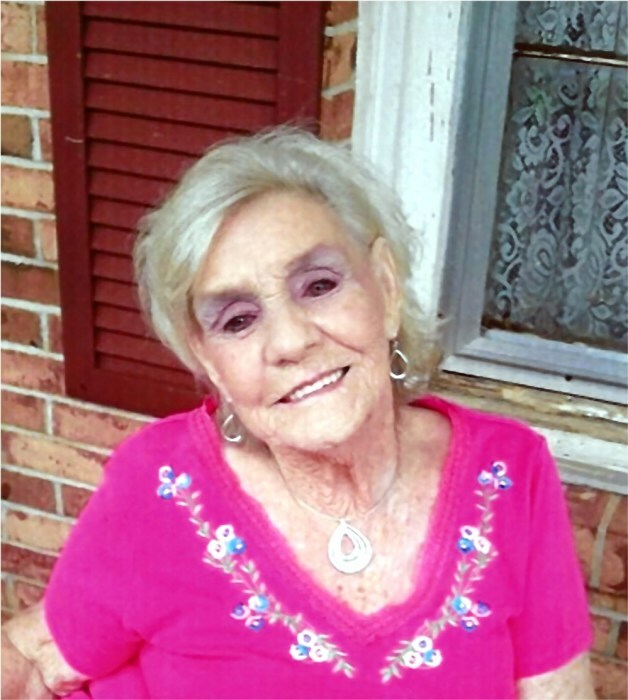 Mrs. Radford is survived by her daughters, Gayle G. Sebra of Atlanta; Betty R. Newell of Louisburg; Debbie Ward of Myrtle Beach, SC; Phyllis Black of Long Boat Key, FL; Rhonda Radford; Robin McManus both of St. Simon Island, GA; son, Joe Radford of Louisburg; 13 grandchildren; 20 great-grandchildren. Flowers will be accepted or memorials may be made to Centerville Baptist Church, 2370 Leonard Rd. Louisburg, NC 27549. Arrangements are by Strickland Funeral Home & Crematory, Louisburg.